Bunch's Garage (Edenton, NC) more. No, no, no.... the Sydney Opera House isn't along Highway 17 (which you already know). But don't you just love it... w more. 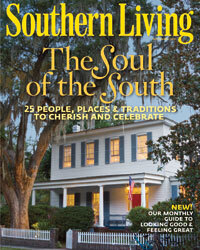 Did you happen to catch the September 2010 issue of Southern Living magazine, and the piece titled "Georgia Coast Road Trip"? more.